I’d be more interested in reading historical fiction about the Romanovs and imperial Russia than about Rasputin who, in spite of his proximity to the dynasty, doesn’t really appeal to me. It’s unfortunate that this book did not meet your expectations. I wasn’t interested in him till I started reading about the Revolution and realised his name comes up all the time, so felt I should find out more than just the scandalous stories about him. But unfortunately this book didn’t quite do what I hoped – oh, well! Rasputin has always fascinated me but I’ve never read anything about him and I’m not sure this is the place to start. I felt your frustration in your review, which was excellent and detailed as always. I might need to look at other options (if I ever get to that point!). It’s such an interesting time in history, FictionFan, and there’s such a lot there. Sorry to hear that the book got a bit bogged down with it all. I know what you mean, too, about the attempt to present all sides of a topic. That’s all well and good – in fact, I like it when the topic is truly controversial – but sometimes it does go a bit far. Still, it sounds as though there’s some interesting information here. A fascinating subject, but the execution seems a little on the boring side. You finished it though, so glad there was some merit to it. 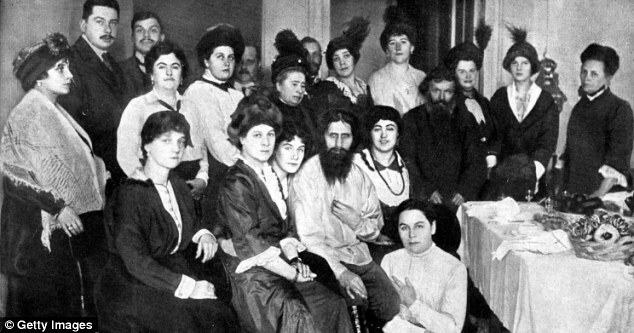 I’ve always been fascinated by the Romanov Family and Rasputin. I’ve stuck to historical fiction with the occasional Google search. Based on your review, I think I’ll stick to that for now at least. Go for it, FF ! Right after reading the review I wanted to listen to Boney M, was very pleased to scroll down and see that you’d already taken care of this Lady F! Hmm, doesn’t sound like something I need to read, thanks to your most excellent review, FF. Gee, it seems like very few of these Russian Revolution novels are piquing my interest. Oh, well, chin up — it’s another weekend. Make it a happy one! A couple of weeks ago I was trying to read this article in the Smithsonian Magazine that was all about Russia so that I could talk to you about it later, but it was so long and had so many different names and dates that I was lost. It sounds like this book is doing much of the same thing, but I’m not surprised. Weirdly enough, I remember the first time I ever talked or learned about Russia in a class, probably around sixth-grade. We talked about how the country was so big there was no way that one ruler could actually have any idea about what was going on in the various parts of the country that were nothing alike. That’s stuck with me and shaped the way I think about large countries. I was looking forward to seeing what you thought of this after glimpsing it on your ‘currently reading’. Always interesting to read a view dissenting somewhat from the mainstream one! I like your comparison with climate change denial, that whole even-handed historian thing can occasionally be a bit eyebrow-raising when it comes to certain topics. It’s a pity because I was really looking forward to this one. I suspect there might not be enough hard evidence to really pin down Rasputin’s character – so much propaganda written about him from both sides. But I hate coming out of a biography feeling as if I still don’t really know the subject. Yes, I prefer a historian to take a side, on the whole, so long as they don’t let their bias get in the way of truth. But if someone who’s studied a person in depth over years still hasn’t made up his mind, what chance is there for the rest of us! The only thing I know about Rasputin is the song about him, which is admittedly, quite catchy. It sounds like this is the worst kind of ‘long’ book: here’s a story, now i”m going to tell you why you shouldn’t believe it. Ughhh so frustrating! I’m glad it wasn’t a total bust but sorry that it didn’t quite live up to expectations. Did you feel tempted to skip around? I think Candace Fleming would dispute the part about Rasputin being a clean person. In her heavily endnoted book, The Family Romanovs, she describes him as being fairly dirty. 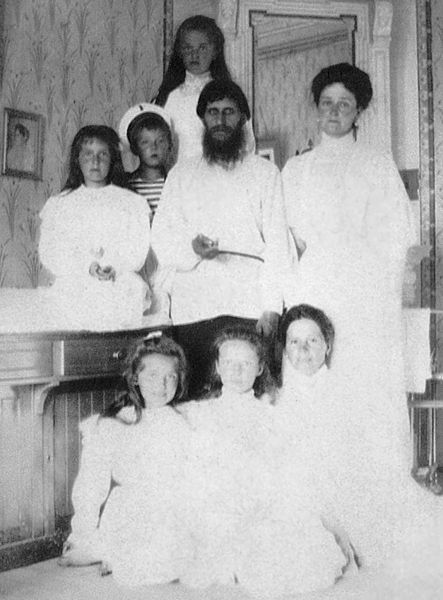 The Romanovs were tied to him because of their son, who suffered from hemophilia. They believed that Rasputin had some sort of healing power, and Alexandra would do anything to save her son. This book sounds frustrating, so I think I’ll stick with the small amount I know about his from Fleming’s book. Cheers! There seem to be two schools of thought on his grubbiness. Apparently one of his ways of ‘communing’ with his acolytes was to take baths with them. (I still feel somewhat queasy at that thought.) Yes, I got the impression that Nicholas wasn’t so convinced, but wasn’t able to say no to Alexandra. For every fact that ‘proves’ anything about him, there seems to be another fact ‘proving’ the opposite – frustrating! He’s a fascinating character, it’s a shame that this fell apart a bit. He remains an enigma! Fantastic review. I’m wondering if I want to read this next and have heard such mixed things, as you said, that it’s more about debunking the popular myths than about what actually happened. Kind of an odd way of telling the story if the truth isn’t known.